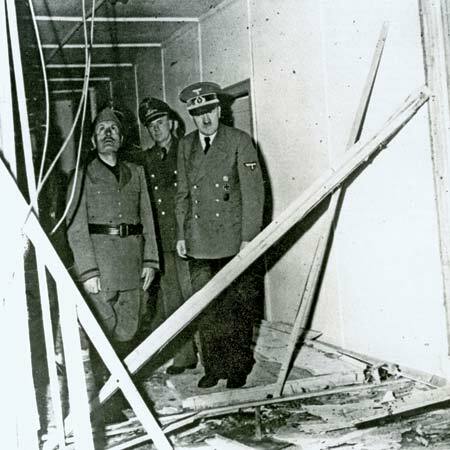 In this photo below, Hitler is showing Mussolini the room the bomb went off in. I did a video about the 42 times they tried to kill Hitler. I’m sure he survived all the attempts. 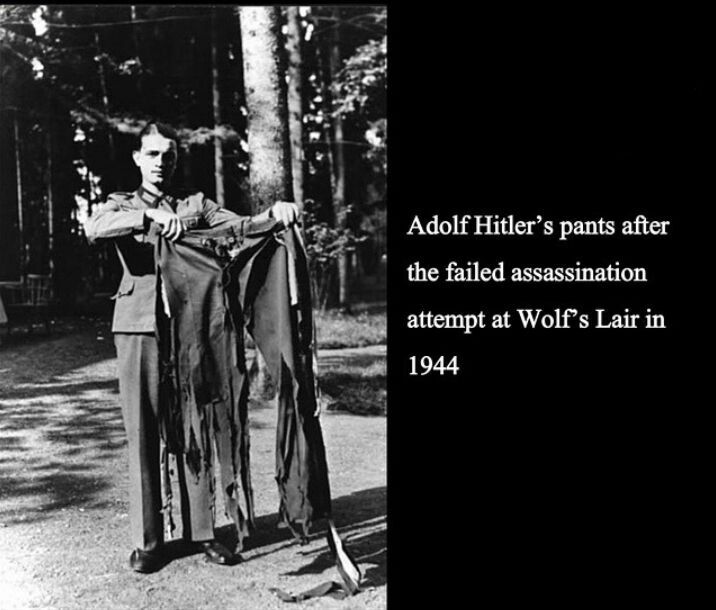 There is of course the theory that Adolf Hitler did not survive that bomb blast. He had eight shadow figures. One of the shadow figures took over his role. If one analysis the Hitler after the bomb blast with the Hitler before the bomb blast, the theory might be reality. Also his dental imprint that was found after the suicide in the bunker after the war did not match his original dental imprint. Makes one think.